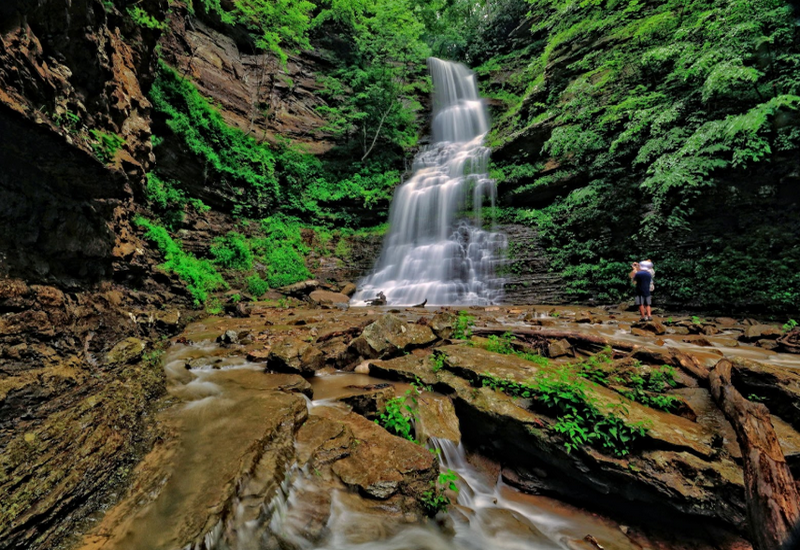 Located at just a mile away from the Gauley Bridge, the Cathedral Falls is one of the biggest, most beautiful and most popular waterfalls in West Virginia. The falls are very easily accessible and a tourist-friendly spot. During the night hours, it presents a beautiful, illuminated picture in the night, which makes it one of the top 25 waterfalls in the world. The area in which the water falls into is a natural amphitheater.